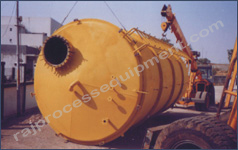 A silo is a structure for storing bulk materials.. 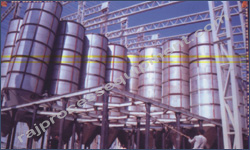 Silos are more commonly used for bulk storage of grain, coal, cement, carbon black, wood chips, food products. 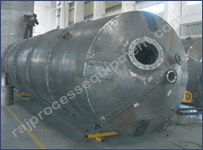 available in epoxy-coated carbon steel, stainless steel, carbon steel with stainless steel cladding, carbon steel with FRP coating. 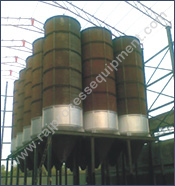 Raj Process Equipments have mastered the art of distillation be it Grain Based Distillery Plant Manufacturers in India or Molasses Based Distillery Manufacturers, no manufacturer can match the high yield low cost factor executed by Raj Process Equipments.